Dragon Water Fountain, originally uploaded by Eric Jeschke. 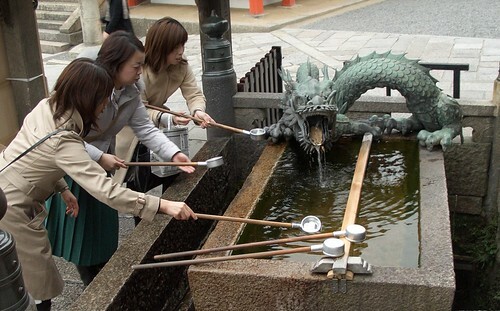 Three visitors drink water from a dragon fountain at a temple in Kyoto. The water is supposed to bring good health and other benefits.